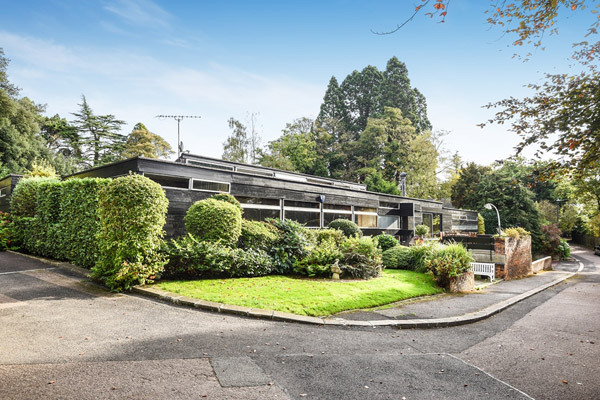 There is a Clockwork Orange connection with this 1960s Edward Samuel modernist house in Stanmore, Greater London. On the market from today, the house, which is grade II-listed, was designed by Edward Samuel back in 1963 for Ernest Shenton. He was a successful businessman and the driving force behind the Dixons retail brand amongst other ventures. If Shenton had given permission, I suspect the asking price might have been pushed up a couple of notches more. Not that the house comes cheap now. But it might be a little cheaper without the movie connection.